What’s The Difference Between High Tea And Afternoon Tea? If you’re a regular tea drinker, chances are you might have heard a reference to the terms “afternoon tea” and “high tea.” More often than not, the phrases are used interchangeably because many people mistakenly believe that there’s no difference between the two. However, though both tea traditions are found in British history, the differences between the teas lies in their origins within the culture itself. What is an Afternoon Tea? 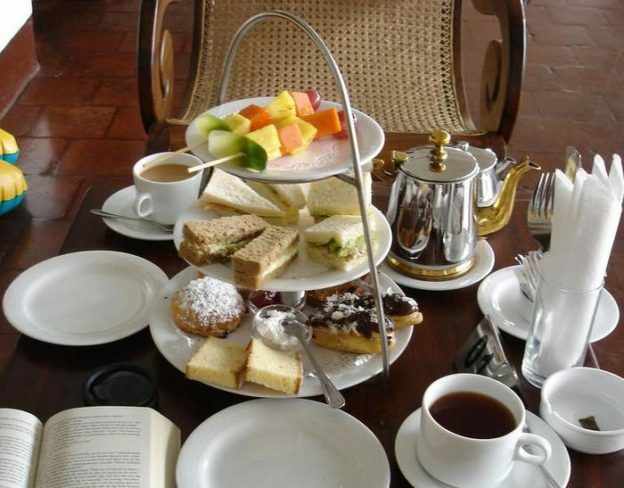 Afternoon tea is a tradition in British culture of sitting down for a cup of tea along with scones, sandwiches or cakes. Popularized in the 19th century, afternoon tea is generally served around 4p.m., and was not intended to replace dinner but instead fill in the gap between lunch and dinner. Afternoon tea was most commonly enjoyed by royalty along with the wealthy upper class Brits. Due to changes in the work/life balance many people are no longer afforded enough time to sit down, relax, and sip tea while eating cakes late in the afternoon, and thus the ritual of afternoon tea has become more of a luxury for modern Brits rather than a necessity. If you find yourself in London, an excellent place for an authentic experience of delicious afternoon tea is at the Ritz in London. In addition to this, Yorkshire boasts a variety of tea rooms that have barely changed since they opened in 1919. What is a High Tea? While the history of afternoon tea was the preserve of the wealthy in the 19th century, for lower class workers in an industrialized Britain, tea had to come after work. During that hour, tea was served with heavier dishes, such as bread, potatoes, and vegetables. Workers needed substantial meals after work, followed by a strong pot of hot tea. Today, evening meals in working households are sometimes called “tea,” but many households now refer to an evening meal as supper or dinner. The addition of the word “high” to “high tea” differentiates between the afternoon tea as served on low, comfortable chairs or relaxing in a garden, and the high tea is served at a table and seated on high back chairs. Whether afternoon tea or high tea, confusion often arises as to what exactly each entail. At Finest English Tea, we have a diverse selection of teas for any tea party or gathering of yours. Give us a call at 408.444-1013 today! This entry was posted in Uncategorized on 05/05/2017 by Adam Rosenthal.